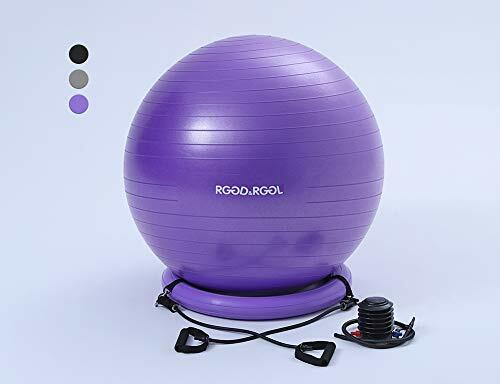 With the RGGD&RGGL Basics Exercise Ball Chair with Stability Ring, you can avoid painful back aches and neck fatigue that come from sitting at your desk all day. 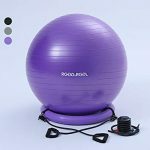 This versatile piece of workout equipment doubles as an exercise ball when used without the stability ring in your home gym. 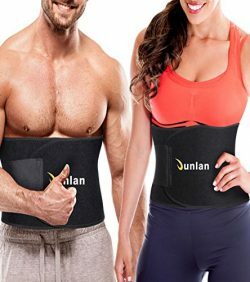 You’ll improve your posture even as you pour over spreadsheets and financial statements. 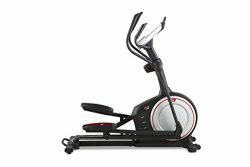 Because the stability ring is inflatable, you can take along the most comfortable and rejuvenating seat, no matter where you go. 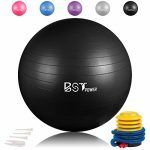 With 2 resistance bands for upper body exercises, our balance stability ball provides full-body workouts without a full gym of equipment. 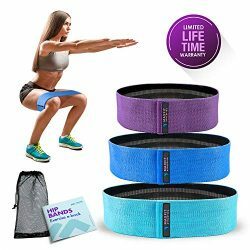 Get lean, hard muscles and toned arms and legs by devoting just a few minutes a day to crunches, lunges, inverted push-ups and other stimulating moves. 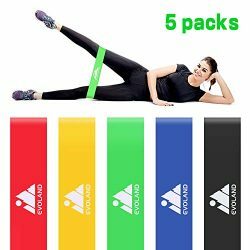 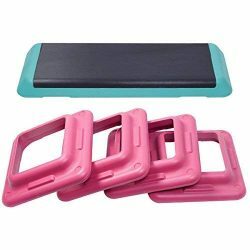 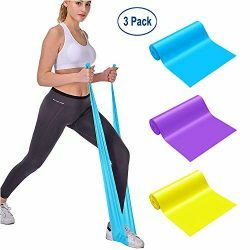 Resistance bands can be added or removed in seconds, simply by unhooking the sturdy carabiner clips from the ball with a press of your thumb. 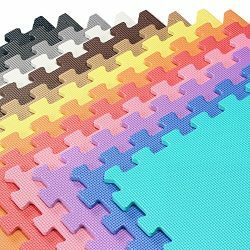 We insist on the highest-quality non-toxic PVC construction for your safety and peace of mind. 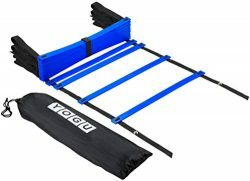 PVC is environmentally friendly and contains no BPA or phthalates. 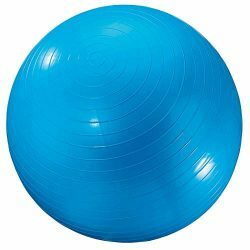 This anti-burst construction gives our stability ball the resilience to support up to 2,200 lbs of weight without leaking and without becoming misshapen. 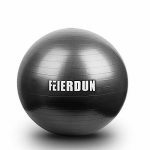 The ball ships deflated but includes an easy-to-use pump so you can begin your workouts right away. 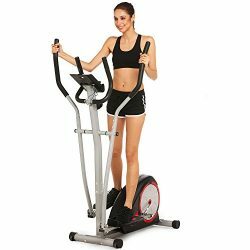 Our factory is BSCI certified and our product has passed all GS safety standards. 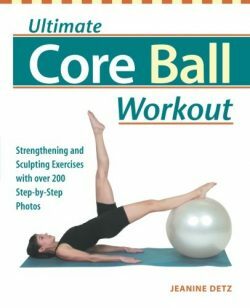 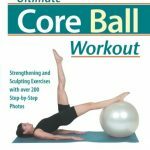 Have a ball developing a lean, sleek physique. 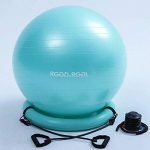 Add the RGGD&RGGL Basics Exercise Balance Ball Chair with Stability Ring to your cart today. 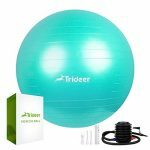 Package Includes: 1 exercise ball,1 stability ring,1 set of accessories,2 resistance bands with carabiner ,1 extra thick quick inflation foot pump,workout guide. 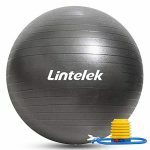 Safety:Extra thick and hypo-allergenic anti-burst material support at least 2200 lbs,one of the strongest exercise balls on the market.With 26 anti-slip belts minimize the possibility of accidents. 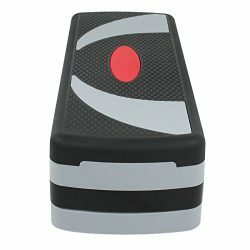 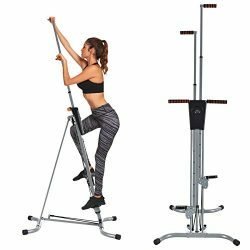 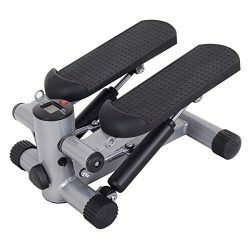 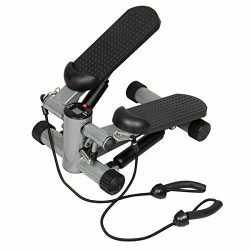 Home gym workout station:Meet all your workout needs,whether it’s Yoga, Pilates,Muscle Training,Balance Training,Core Strength Training.We’ll send you workout guide help you with the exercise. 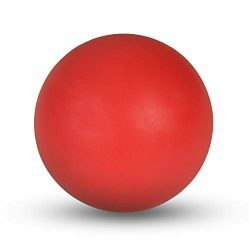 Ball chair:Prefect replacement for your office chair.Train your balance and core strength during your daily work,Correct your sitting posture,protect your spine and neck,relieve back pain. 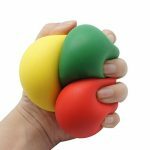 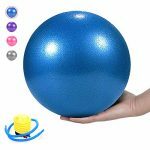 As a manufacturer with 13 years experience in yoga ball manufacturing,we are proud of our product.32 Day No-Hassle Returns , 12-MONTH WARRANTY,we will provide you the most professional customer service as a experienced manufacturer.